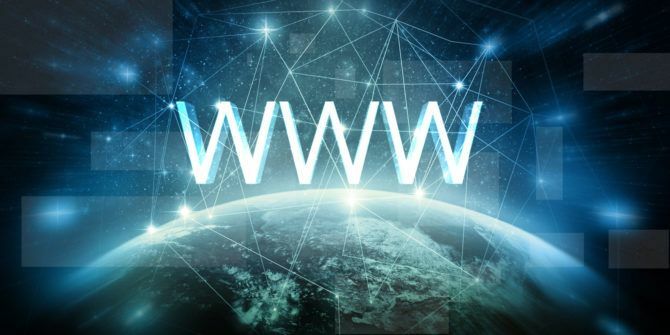 The browser is the gateway to the World Wide Web. But the way we use a browser hasn’t changed much since Mozilla Firefox and Google Chrome started battling with Internet Explorer and Safari. What’s the future of browsers? How will we access the internet a few years down the line? Here’s a sneak peek. Recently, a few developers have been re-imagining how a browser should work. We’ve already seen old Opera developers make the new Vivaldi for power users Meet Vivaldi: The Power User's New Favorite Browser Meet Vivaldi: The Power User's New Favorite Browser Meet Vivaldi; a beautiful new web browser aimed at power-users, built by the co-founder of Opera, Jon Stephenson von Tetzchner. Read More . And as Chrome, Firefox, and others continue to innovate, some others are taking giant strides. 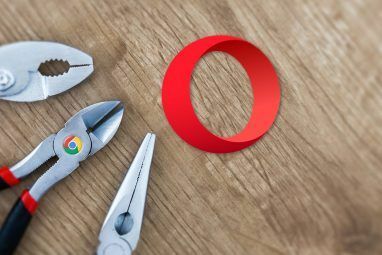 Opera is a fantastic browser and worthy Chrome alternative How Ditching Chrome For Opera Will Improve Your Battery Life How Ditching Chrome For Opera Will Improve Your Battery Life There's a chance Google Chrome might be your laptop battery life problem. Thankfully, Opera might have the solution, with its built-in battery saver mode. Here's what you need to know. Read More . But the company has come up with a concept browser, Opera Neon, to show where they think the future lies. Opera Neon is a visual-centric browser, with neat animations that give it a modern feel. It discards traditional tabs in favor of new “visual tabs” where an icon of a site collects all the pages you have opened within the site. An algorithm intelligently pushes most-used tabs to a more prominent position on screen. Neon has a built-in gallery where you can drag-and-drop any image or video, or screenshot any part of the screen. You can then share these images or videos in another web page or chat with a similar drag-and-drop movement. Neon also understands that web surfing is now all about multi-tasking. You want to read your Messenger chat or keep watching a video, while you continue to browse the web. Split-screen mode makes this easier than ever, delivering two pages simultaneously. Are you always struggling with tab overload Master Tab Management in Chrome with These Built-in Features Master Tab Management in Chrome with These Built-in Features It’s time to master tab management in Chrome. Let's see what's possible without installing a single extension. Read More ? Do you have 30 tabs open and can’t figure out where the one you need is? Do you get distracted by off-topic tabs? This is the browser you need. Alloy rethinks how a power user would want to arrange tabs, and makes the browser “task-first”. Click the task list in the top-right corner, and create a new task (e.g. “Social”). Now open tabs related to this task only. Next, create another task (e.g. “Work”) and you’ll see that the tabs you opened under “Social” are gone. You can add new tabs under “Work” that stay only in that task. The idea is that you shouldn’t need to see a clutter of tabs just because you’re working on two tasks simultaneously. Alloy is an ingenious solution to tab grouping, asking you to first set out to achieve something, and then open tabs accordingly. Smart productivity! Ghost isn’t a browser that everyone will love, or even see the need for. But if you are a technology professional or just a geek who loves tinkering around, this browser checks all the right boxes. Ghost calls itself a “multi-session browser”. You can start new sessions within the same browser window, such that each session has its own cookie jar. The sessions are color-coded, so you can easily differentiate between the tabs. Since each group of colored tabs has its own cookie jar, you can sign into the same site with different accounts in the same browser window. There are extensions to sign into multiple accounts 5 Ways To Switch Between Multiple User Accounts In Firefox & Chrome 5 Ways To Switch Between Multiple User Accounts In Firefox & Chrome There are countless ways to manage multiple user accounts. Recently, I explored 4 Ways to Simultaneously Manage Multiple Gmail Accounts. Apparently I neglected a few more methods, ones that not only work for your Google... Read More , but Ghost is a much better solution than any of these. Plus, Ghost is built on Chromium, so it works with all the Google Chrome extensions you love already. Safety of your personal data is a top concern with browsers these days, especially on your smartphone. You don’t know what’s going to happen when you connect to a public Wi-Fi network. Aloha is a browser made to protect your privacy and security. One of the ways it does that is through VPNs (virtual private networks). VPNs offer protection from common attacks 8 Instances You Weren't Using a VPN but Should've Been: The VPN Checklist 8 Instances You Weren't Using a VPN but Should've Been: The VPN Checklist If you haven't already considered subscribing to a VPN to secure your privacy, now is the time. Read More , so you should be using one. But most VPNs cost money, or have limited data. Aloha, however, offers free, unlimited, and encrypted VPN. This also includes specific protection for public Wi-Fi hotspots. Just tap a button and you’ll be using a VPN. Aloha doesn’t log any of your activity and doesn’t share it with anyone. You can also lock certain tabs with a passcode or your fingerprint, providing a second layer of security. And as a non-security bonus, Aloha can download any video you are watching on popular sites like YouTube or Vimeo. 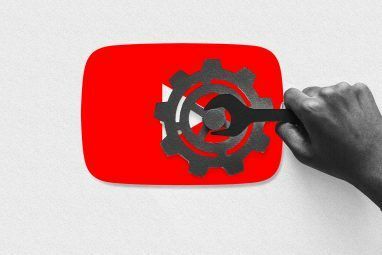 You’re probably familiar with Google’s Knowledge Graph An In-Depth Look at Google's New Knowledge Graph An In-Depth Look at Google's New Knowledge Graph Read More . If you search for weather in your city, for example, Google will show that at the top of the results page, without you needing to click anything. Cliqz takes this concept and integrates it into the web browser itself. So, when you search in the URL bar of Cliqz, you’ll get such information in the URL’s drop-down itself. Even search results appear in the drop-down, saving you the trouble of opening a page and then clicking something. It’s much faster, and over repeated usage, saves you a lot of time. And unlike Google’s privacy concerns Concerned About Privacy? How To Keep Google At Arm's Length Concerned About Privacy? How To Keep Google At Arm's Length Concerned about Google's data collection policies in light of all privacy issues? It might not be a bad idea to keep Google away from your Internet activities. But just how can you do that? Read More , Cliqz does not save your data and does not have any ads. In fact, it comes built with all the data and privacy protection tools you need. Cliqz even recently bought Ghostery, one of the essential extensions to block tracking and scripts Control Your Web Content: Essential Extensions to Block Tracking and Scripts Control Your Web Content: Essential Extensions to Block Tracking and Scripts The truth is, there is always someone or something monitoring your Internet activity and content. Ultimately, the less information we let these groups have the safer we'll be. Read More . Don’t get your hopes up though, Cliqz is still in beta and doesn’t work well with all countries yet. Still, it’s a nice glimpse into the future of browsing. Which Browser Do You Want the Most? So there you have it, the future of web browsing. From task-based tabs to full protection of your data, there’s a lot to look forward to. 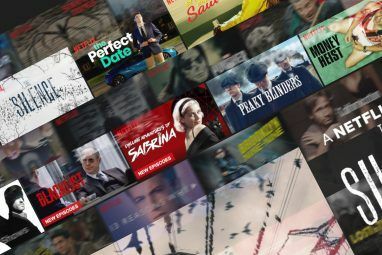 Which feature catches your fancy the most? Which browser do you want? Explore more about: Cool Web Apps, Opera Browser, Private Browsing, Tab Management, VPN. Opera would probably be my browser of choice, based on Speed Dial alone, if it allowed profiles. But I need to have browser profiles for multiple family member's personal and volunteer roles and Opera won't do that for me. If it had profiles I'd seriously evaluate it. I think Speed Dial is the best features since multiple tabs. I tried to find a SpeedDial-like attachment for Chrome or Firefox but couldn't find anything satisfactory. Profiles is a surprising omission for a modern browser. I wonder why did won't do it. None of these work on Linux? I'm on Firefox now and have been for years. I like it but I'd like it better if it was vpn as well. Brave, Seamonkey, Konqueror, Firefox, and many others that are slowly coming to fruition and all run on Linux. I despise and never visit again, sites that tell me my browser isn't good enough or up-to-date enough or whatever only because the webmaster of said site is too stupid to realize there's more out there than Winblows and Mac OS's. I would love to see the legacy opera (12.17) presto being revived and continued. It had features which no one else could replicate till date though Opera has abandoned it long ago. Even they can't get all the features back onto the crappy chrome based current version of Opera. No qualms about Chrome though, but it's the data collection that the worrysome part. Vivaldi is trying hard, but the underlying chrome based development is severely hindering it's progress. Will opera do the inevitable or at least release the Presto rendering engine source code to the community? I've been using Vivaldi for around a year now and love it. It's way better than Firefox for most things and it's easy to configure. Which browser do I want most? I have Chrome, Firefox, Opera, Vivaldi, Palemoon & Waterfox installed on my computer. I use mostly Google Chrome and Firefox. For MS Windows, Android, OSX, iPhone available. That Browser accept Opera and Chrome extensions. For Chrome extensions search [opera chrome extensions] and install this extensions. Now you can install chrome extensions. Usable for mobile and desktop browsers.